Herbalife Nutrition is proud to support Special Olympics. Last year, we sponsored the 2015 Special Olympics World Summer Games in Los Angeles and used our Los Angeles Distribution Center location in Carson to register and credential athletes, coaches and volunteers. Herbalife Nutrition distributors and employees sponsored approximately 10% of the competing athletes. In addition, nearly 300,000 nutrition bars were donated at various competition sites. This year, we’ve expanded our commitment to Special Olympics through a $1 million sponsorship in support of the organization’s fitness programming and education resources. 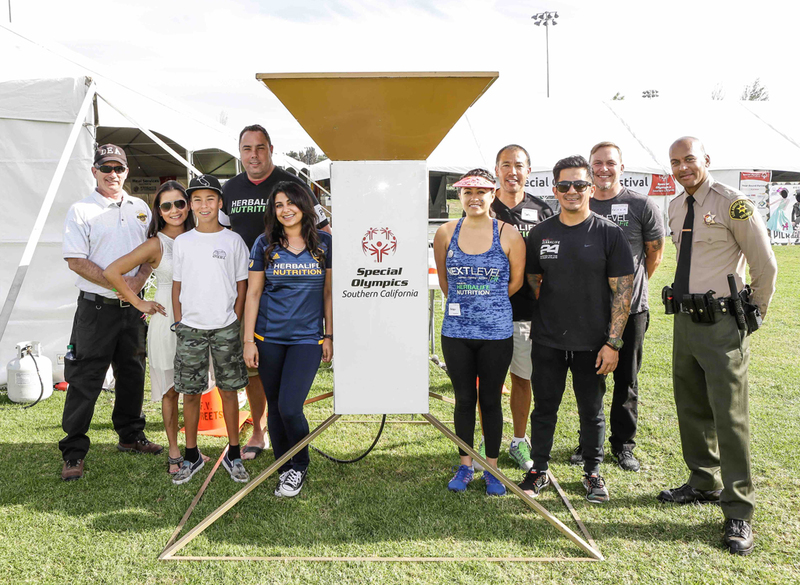 Distributors and staff, including Southern California Special Olympics board member and Herbalife Nutrition Senior Vice President of Global Corporate Affairs Megan Jordan, recently volunteered at the Fall Games in Southern California. Over the past several years, Herbalife Nutrition has sponsored the Hope Gardens Family Center’s annual Mother’s Day luncheon. In addition to collecting and donating personal care items and accessories for 80 women and their children, our Worldwide Events and Promotions team coordinated special activities, including professional makeovers, portraits and children’s games. Right before Thanksgiving, Herbalife Nutrition executives and staff helped to hand out more than 600 turkeys and groceries through a partnership between Herbalife Family Foundation (HFF), the LA Galaxy Foundation and A Place Called Home (APCH), our HFF Casa Herbalife foundation in South Los Angeles. APCH is a non-profit that provides South Los Angeles children and teens with educational programs, counseling and mentorship. Also in 2016, more than 30 employees from the Herbalife Nutrition Global Corporate Affairs and Worldwide Marketing teams helped build two homes in partnership with Habitat for Humanity of Greater Los Angeles (Habitat LA). Under the leadership of the Habitat LA construction team, employees divided into groups to clean, paint and build framing for roofs and walls. Both the Herbalife Nutrition Worldwide Supply Chain’s change management teams and the Global Corporate Affairs team have volunteered at the Los Angeles Regional Food Bank this year, sorting and bagging thousands of pounds of produce and filling hundreds of grocery bags to be distributed to children and the elderly. Thanks to the support and partnerships of organizations and companies like Herbalife Nutrition, the LA Food Bank is able to feed more than 280,000 people monthly in Los Angeles County. “It was beyond a great day taking a moment out of our lives together to help the ones that need assistance during these times in their lives,” said Materials Systems Analyst Dina Nalley. Since January 2016, Herbalife Nutrition has hosted eight blood drives in association with the American Red Cross, including five employee drives and three distributor drives across the country. The blood donations received through our corporate sponsorship will save up to 990 lives. Herbalife Nutrition Human Resources teams partnered with the Do Good Bus to clean up and plant a school garden at Buford Elementary School in Lennox, CA. Access to fresh, whole foods is especially important in communities like Lennox where fast food restaurants, liquor stores, and low-quality supermarket chains are predominant, and nearly half of its students are considered obese. “We were delighted to learn we’d be doing work that would help the kids of Buford Elementary learn about nutrition, especially since nutrition is what we’re all about,” said Jean Marie Cacciatore, senior vice president, Human Resources, Herbalife Nutrition.